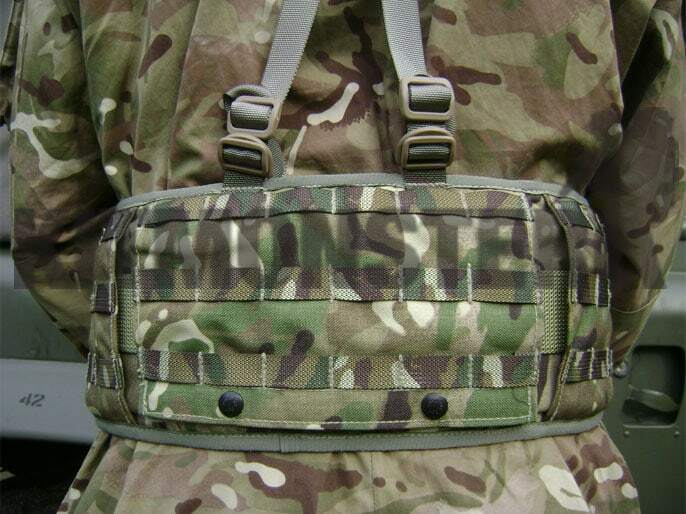 UK Military issue padded MOLLE 'Battle Belt' in Multi Terrain Pattern MTP camouflage. 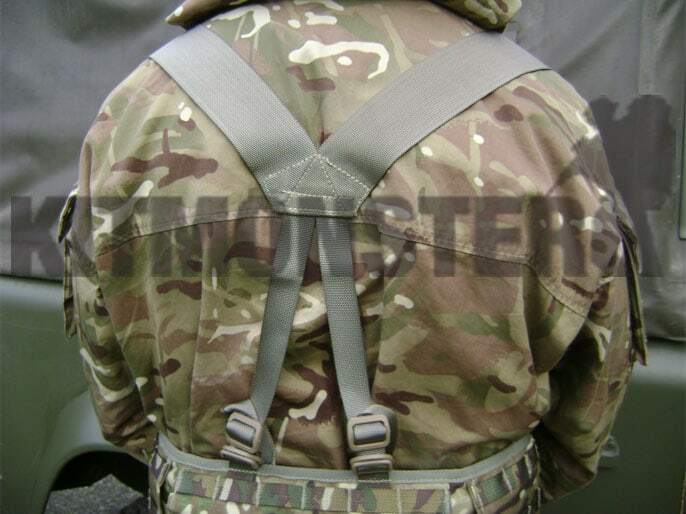 3 part MOLLE belt set, hip pad and webbing platform in one, with MOLLE strapping to fit pouches from most MOLLE systems. 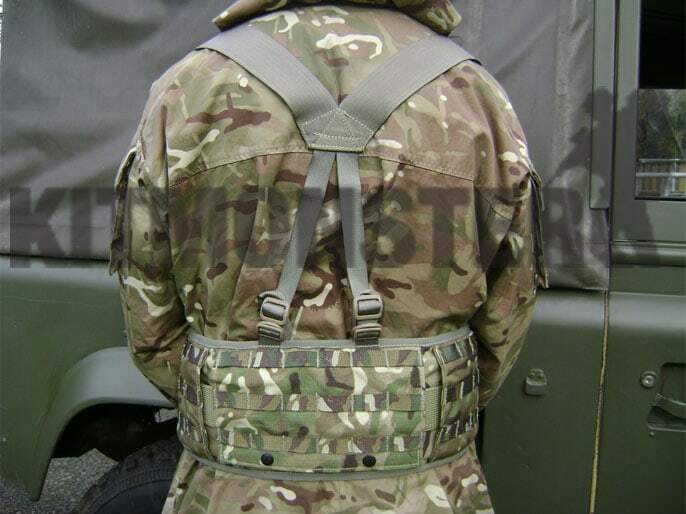 Set comprises: padded MOLLE belt 'sleeve', X type under body armour lightweight yoke and roll pin belt. Some tri glide buckles fitted to yokes may be black rather than the olive shade shown. Padded for comfort using non absorbent closed cell foam, with a quick drying mesh lining. Size Medium for waist sizes 32"-36". Pad measures 88cm (34.5") from end to end (internal measure). 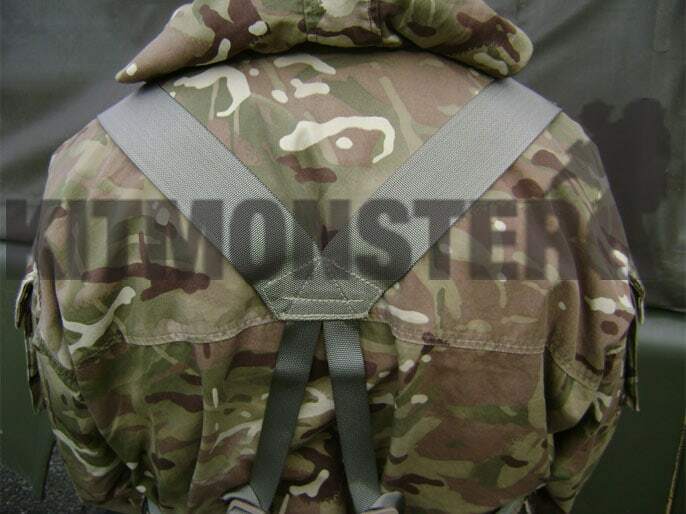 16.5cm (6.5") wide and has 3 rows of strapping to attach your choice of pouches. These rows provide 20 'columns' of strapping. 4 buckles on the upper edge for yoke attachment (4 point yokes only). Yoke shown is included. 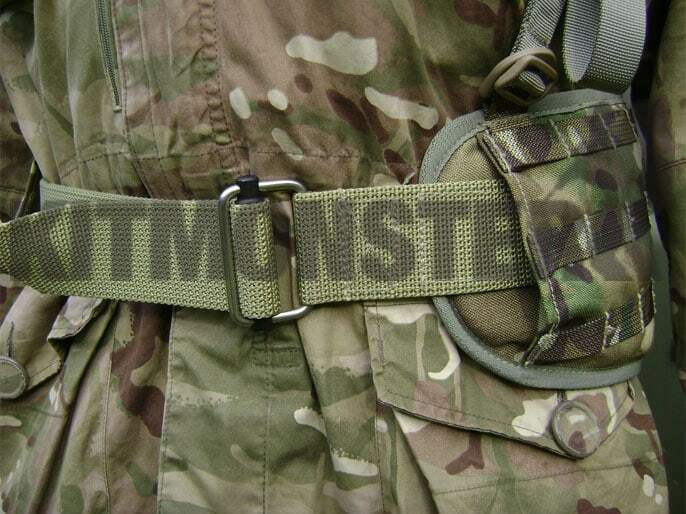 As issued for operations alongside Osprey Body Armour, these belts are intended for use with the Osprey pouches. These sets are base for the belt order suggested for the 'Fight Light' policy borne of 'Project Payne'. 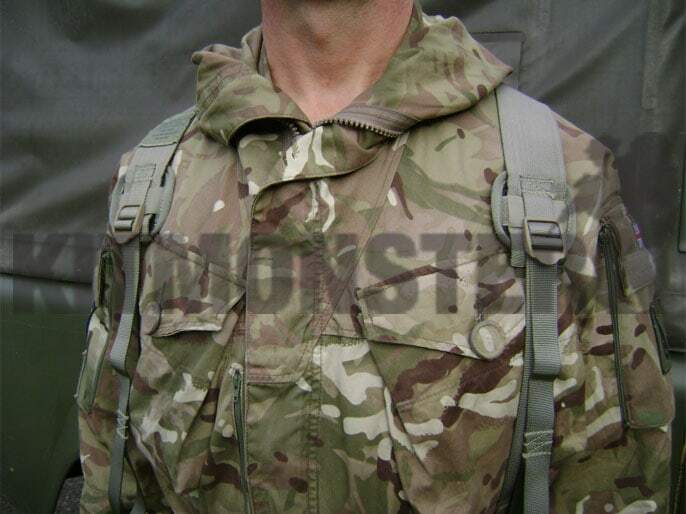 Ex military stock, these are new and unissued. Multiple views shown, single set supplied.